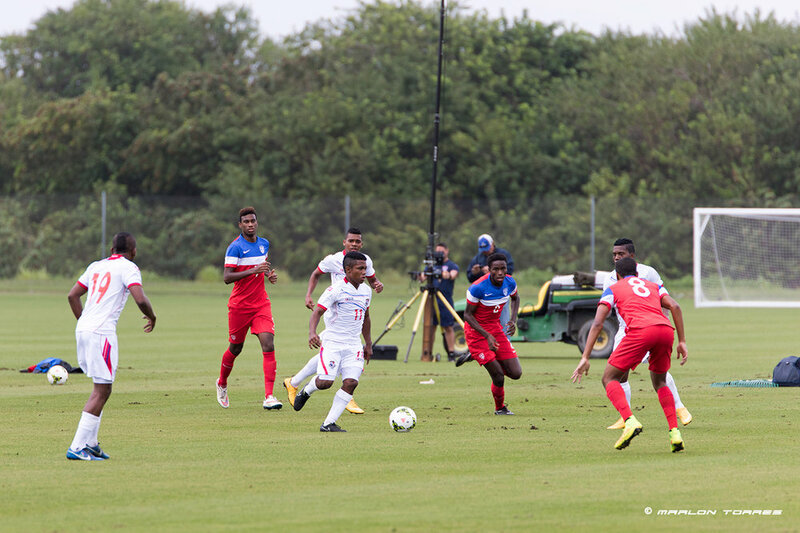 Today I had the opportunity to shoot at a friendly soccer match between the Panamanian Under-17 Men's National and the U.S. Under-17 Men's National U17 teams. Both teams are taking advantage of these matches in preparation for 2015 CONCACAF U-17 Championship where only four teams qualify to the FIFA Under-17 World Cup Chile 2015. This was a perfect opportunity for me to tryout my recently purchased Canon 7D Mark II. Aside from that, it was really nice to see the talent of these young men who are all giving it 100% in order to secure a spot on their respective rosters. Getting back to the main subject, I previously owned the Canon 7D Mark I. With the 7D you can shoot up to 8 frames per second. On the other hand, with the 7D Mark II you can shoot up to 10 frames per second. Let me be the first to tell you that the extra 2 frames per second make a significant difference. I love how this camera performs! It is so fast, it sounds like a machine gun when you're shooting in High Speed Continuous mode. The auto focus is so much better on the Mark II. I'd say that 9/10 of the shots were spot on. I had very few shots that were hit or miss and I was really pleased with the results I got. Below are a few photos from todays shoot. Unfortunately, I was only able to shoot for about 10 minutes as I was later told by US Soccer that they did not allow people to photograph or record the game. I was there on behalf of the Panamanian Soccer Federation (FEPAFUT), but it was their field and their rules! Nevertheless, I was able to get a few good shots.